At its annual Spring League meeting, the NFL announced that players will be required to “stand and show respect” for the national anthem if they are on the sidelines. Any player that refuses to do so will face a fine from Roger Goodell and possible disciplinary action from his team. The team will be fined by the NFL. 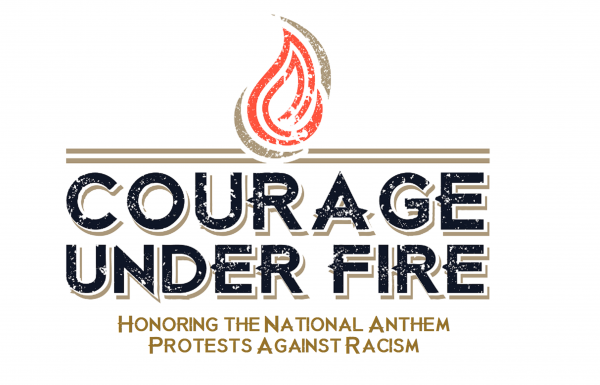 In taking this stance regarding the national anthem, owners have squandered an extraordinary opportunity to show courage, dedication to challenging racism, and respect for the principles of freedom this country purports to uphold. Instead they have presented players with their Toby moment, and it is time for players to demonstrate the enormous power they possess. Black players comprise nearly 70% of the NFL, which is the world’s most lucrative sports league. It’s time they act like it and take a string stance against the NFL’s new policy. The nation has already witnessed, via the University of Missouri, what a group of Black football players can accomplish when they stand up for the principles and refuse to play, stand for the national anthem, or raise their fists in a power to the people salute unless their demands are met. In this case the demands should entail at a minimum reversal of the national anthem policy, and the cessation of the NFL blackballing of Colin Kaepernick and Eric Reid. Standing for the national anthem is individual decision. Participation in the nationalistic ritual marked by the singing or playing of the national anthem is essentially a personal invitation extended to every citizen of this country. It is akin to attending a non-religious event in which attendees are invited to pray. The decision not to participate is a personal one that is not anyone’s prerogative to even question, let alone either demand an explanation, or, worse, attempt to compel participation. The NFL sought to justify its decision by repeatedly invoked by insisting that players “stand and show respect” for our national anthem. When asked by a reporter who was the arbiter of what is considered respectful Goodell provided a response which amounted to “we’ll know it when we see it.” This paternalistic, “what’s your name boy” approach is a clear line in the sand. It also begs the question of what exactly are the league’s limits here? Could they decide that players should receipt a loyalty oath before each game as well? Players need to make a clear, bold stance to signal that the NFL has gone too far and that they will not allow their voices to be stifled on this manner. There is also the issue of the blatant racism that this policy exhibits. Essentially, in response to players demonstrating to protest racism in America, the NFL has decided to side with its racist white fan base who has been in complete histrionics and extremely angry over players refusing to stand for the national anthem. This racism has been further affirmed by the blackballing of the two most visible representatives of the protests, Colin Kaepernick and Eric Reid. While it was disappointing to see so few players protest when Kaepernick was being blackballed last year, perhaps this latest display of authoritarian plantation owner mentality will encourage more players to find their courage. Players should boldly exercise their rights as citizens of this country and reject the NFL’s attempt at forced patriotism by refusing to play, refusing to stand during the anthem, or raising a power to the people fist salute. Our elders and ancestors suffered immensely by marching and demonstrating in an attempt to ensure that we their descendants would have opportunities denied them. As racism is as prevalent as ever in American society, even in its more refined state, this is an opportunity for players and Black people as a whole to joint together in an affirmative stance against racism, jingoism, and abuse of authority. Solidarity brothers. Solidarity.